Key skills: knowledge synthesis, monitoring and evaluation (M&E), policy development and institutional strengthening, program design, climate change risk and vulnerability assessment, and facilitation of multi-stakeholder processes. Jimena’s work focuses on equipping individuals and organizations to understand and incorporate the implications of climate-related risks and vulnerabilities into plans and decisions that affect environmental and social outcomes. 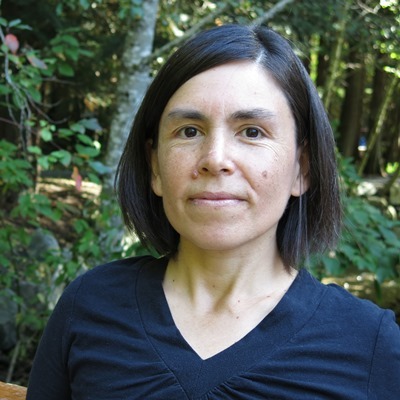 Jimena is a recognized adaptation expert in Canada and leads ESSA’s climate change adaptation practice as well as its international division. Between 2009 and 2012 Jimena led several high-profile adaptation projects of national relevance, including a widely-cited study on the costs of climate change for Canada and the first comprehensive Canadian initiative exploring business readiness to confront climate change risk. Advice she helped develop on adapting northern infrastructure to climate change in 2009 was adopted by the Government of Canada. Since 2013, Jimena has contributed to vulnerability assessments, climate-sensitivity screening and provided guidance and facilitation services to support the development of thematic (heat health and built infrastructure; agriculture; fisheries and oceans management), regional (Arctic Canada), and national adaptation strategies. She has helped professional associations tailor outreach to their membership to enhance engagement on adaptation and has contributed to national science assessments of climate change impacts and adaptation. Jimena is increasingly applying her Canadian-based experience in integrating climate-related risks and resilience in policy, planning and practice to international contexts. For example, she has led or contributed to a number of international monitoring and evaluation (M&E) efforts in the past two years: the final evaluation of a major climate resilience program in the Caribbean, two evaluations of Plan International’s child-centred climate change adaptation project in Southeast Asia, the final evaluation of CARE International’s Adaptation Learning Program in Africa, and the establishment of M&E systems for national climate change programs and finance facilities in Ghana, Zambia and Ethiopia. With funding from the Climate and Development Knowledge Network, she is leading a multi-disciplinary team to contribute to the integration of climate change into the environmental impact assessment (EIA) process in El Salvador and to undertake a multi-hazard risk assessment of national infrastructure important for disaster response and recovery. Jimena holds a B.Sc. in Geology from Georgia State University, an M.Sc. in Geology from Western University, and an M.Sc. in Resources Management from Simon Fraser University, where she combined survey methods and innovation diffusion theory to characterize Canadians’ preferences for zero-emissions vehicles. She also holds a Graduate Diploma in Social Innovation from the University of Waterloo. Jimena is committed to serving others, particularly communities considered to be “vulnerable”. She is the current Vice President of the Canada Mathare Education Trust, a Canadian volunteer-run charity working in a Nairobi (Kenya) slum to increase youth access to high school and post-secondary education. She has volunteered with CMETrust since 2007 in several capacities, from event planning to policy development. She firmly believes in the power of people as an effective approach to capacity development and has volunteered with Cuso International in Peru and Nigeria in the past six years as a gender researcher and climate change adaptation advisor, respectively. In her spare time, Jimena likes to hike and canoe in the backcountry.